There are so many special memories to be had during the holidays; we get to use the excuse of Thanksgiving or Christmas, New Years or Hanukkah to share moments with family and friends and there is no better way to connect with those who are close to us than with holiday events, personal or corporate! So, let’s say you have decided to be the brave soul to take on the challenge of putting on the one of many holiday events during the season for your network, you have X number of RSVPs and your event marketing is taken care of, thanks to our recent blog post on the 4 Mandatory Event Marketing Tips, what next? While you’re never going to please everyone, you’ll come a lot closer to hitting that goal if you choose a few items that everyone can enjoy; you can save money on providing a few items rather than “covering all of the bases.” Keep in mind peoples’ dietary needs and personal preferences; not everyone drinks alcohol or eats meat, but most everyone who drinks alcohol and eats meat can eat and drink things that people who don’t eat meat or drink alcohol can. An even easier way to provide the food and beverage items during holiday events that people want is by asking some people to bring dishes, snacks, and drinks to share (i.e. : green bean casserole, which I personally cannot make very well, so it is probably better off someone else make it). Picking a theme for your holiday events can really make it exciting! The theme you select can be anything from an ugly sweater party to a complete winter wonderland (Endless will most-likely be celebrating with ugly sweaters)! You can plan everything around your theme from dress codes, to food choices, drink styles and decor. If it is a winter wonderland themed party, you can have lights projecting snowflakes throughout the room! Or decorate the interior with twinkling blue and white lights, tinsel, blue and white glitter, and artificial snow. If you decide to go with an ugly sweater party, a great way to ensure everyone participates is to have prizes for the best sweaters at the end of the night. Music is usually a big part of a great evening. A great DJ can bring any event to the next level. They are trained to read a crowd and play exactly what is needed for the guests to have a great time. They are able to get everyone out onto the dance floor. However, music isn’t the only way to entertain. Consider hiring a comedian, dance crew or acrobats for your holiday events. This will create a fun memorable experience guests talk about long after the event is over. When hiring entertainers, do not always go for the lowest price. Whoever you hire, he/she will affect your image. Quality, trust, and ease are more important than a lower bid. Also when working on the program, don’t save the best for last; at the end of the event, the guests may be tired, hung-over, or worried about getting home. We recommend having your biggest entertainment showcased in the middle of your event to ensure everyone who is going to be at the event gets to experience it. Interactive elements at your event are crucial to a successful event. For holiday events, consider hands-on activities such as a Gingerman building station or a photo booth with fun holiday props. Instead of spending a lot of money on expensive floral-scapes, lavish linens and centerpieces choose great lighting effects to enhance your events ambiance. At holiday events, lighting can take a plain venue and transform it into a truly extraordinary place. Work closely with your event planners and audio visual team to make your lighting work for you. They will find creative ways to position and use lighting in the venue to really enhance the atmosphere. 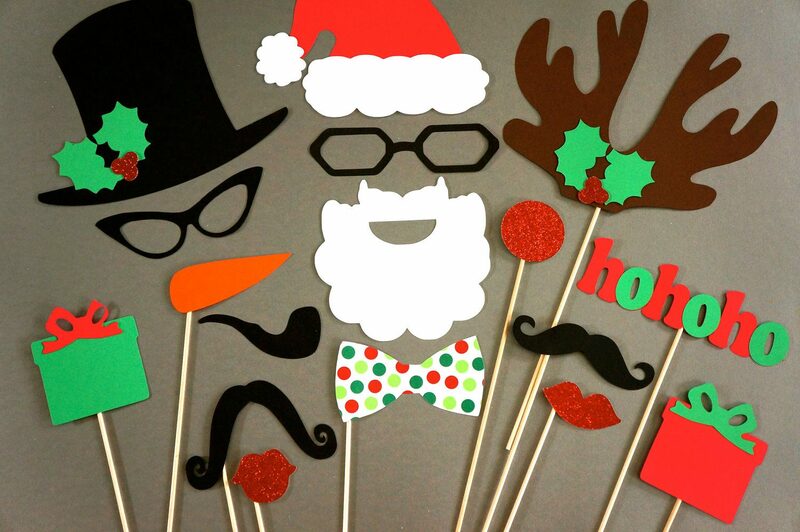 Your guests should not be the only ones who gets to enjoy themselves at your holiday event! If, for whatever reason, something isn’t working out as planned, don’t sweat it! Chances are your guests will be too busy enjoying themselves to notice anyway! Are you ready to help make the memories your close-ones will remember for many holiday events to come? We believe in you! We would like to wish everyone a fun and safe holiday season and we will be looking forward to seeing the outstanding events you all have in store! If you have not had a chance yet, please help yourself to our free Event Production Infographic provided below and plan safely this season!